In the part where are manu oak, cerris and black locust woods, 6 km from Mladenovac towards Kragujevac, less than one hour from Vievac, Karaore`s place of birth, not far from Topola, Oplenac, Orasac, Takovo, Rudnik, Bukulja, Kosmaj the Markovac lake is placed. 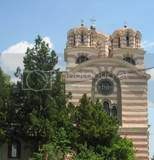 In the vicinity there are monasteries Pokajnica, Kasteljan, Tresije and Pavlovac. Very close to the monument to despot Stefan Lazarevic and to three spas, Bukovicka, Selters and Kiseljak. The lake is 1000 m long, 500 m wide, 16 ha big and 11 m deep. An artificial lake was built in 1965 when the river Koarna dammed the paradise for anglers, hunters, rest in nature loves and picnickers. 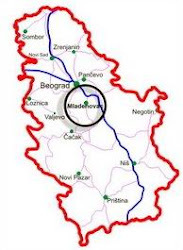 The lake could be come to from the highway that goes from Belgrade to Ni from Mladenovac, too and Arandjelovac and Topola as well. As an active touristic Sport center it is surrounded by oak wood with good offer for picnickers, campers and sportsmen. In the depts somewhere even 11 m there are carp, catfish, pike, maple, perch, blear, robin, bream..The lake coast is the sanctuary of big grebe, wild duck, white and grey heron and the surroundings woods are the sanctuary of rabbit, pheasant, quail.. The Markovac lake is 20 ha big and it presents a big beach, rowing path, walk.. 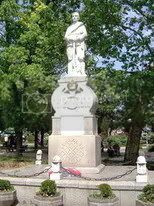 Cultural historic heritage lovers can fast get to important cultural historic Roman period, The Middle Ages, newer Serbian history in Oplenac in Topola and Orasac. Existing restaurant, camp and bungalows have been entertaining guests. The reconstruction of the objects, is in keeping with the plan of the development of this area. In Rabrovac village which is 15 km far from Mladenovac there is storked lake with fish called the Rabrovac lake that is 700 m long, 100 m wide and approximately 16 m deep.